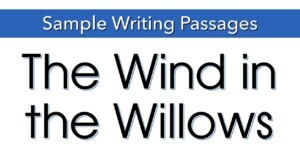 A passage from The Wind in the Willows to use as a mentor text, discussion starter, or writing prompt. 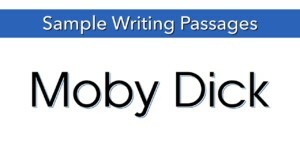 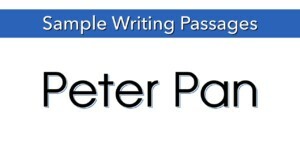 A passage from "Peter Pan" to use as a mentor text, discussion starter, or writing prompt. 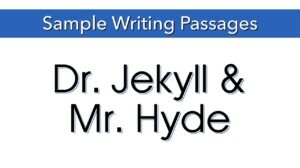 A passage from "Dr. Jekyll and Mr. Hyde" to use as a mentor text, discussion starter, or writing prompt. 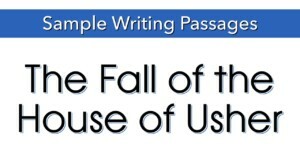 A passage from "The Fall of the House of Usher" to use as a mentor text, discussion starter, or writing prompt. 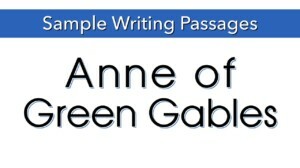 An intriguing passage from Anne of Green Gables to use as a mentor text, discussion starter, or writing prompt.